Girls Super Hero Birthday Tutu in red, yellow and royal blue. 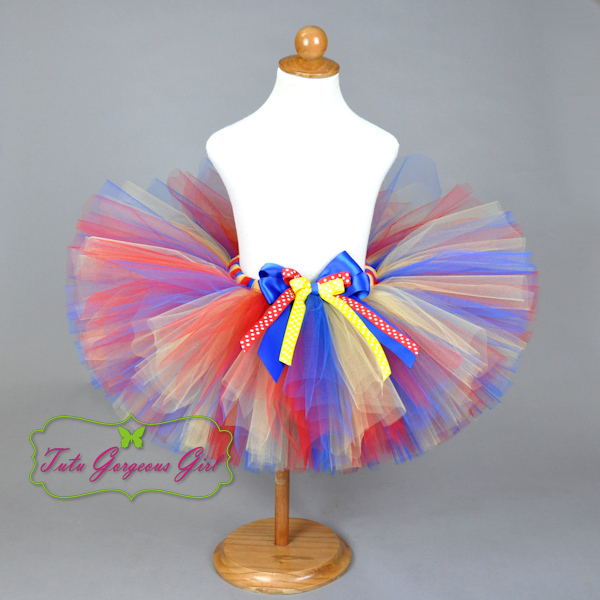 The Super Girl Tutu features yellow, red, and royal blue tulle, and a layered bow at the waist. 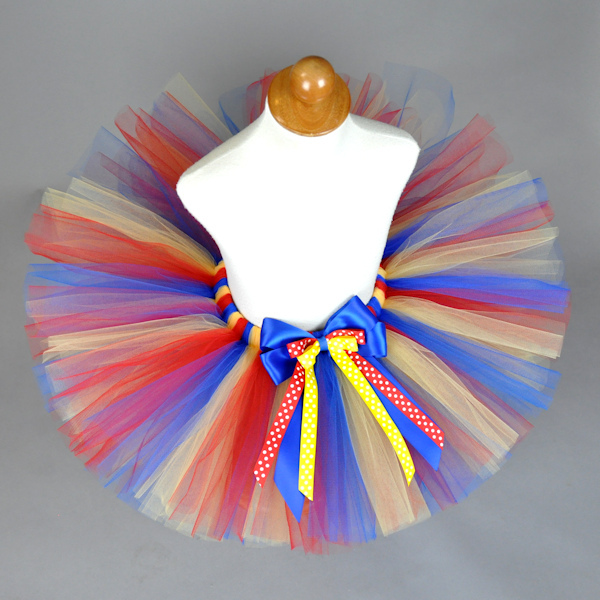 This tutu is perfect for a super hero birthday girl, or Halloween tutu.